Private drum instruction for beginners to advanced, covering reading skills, rudiments, and full drum set. 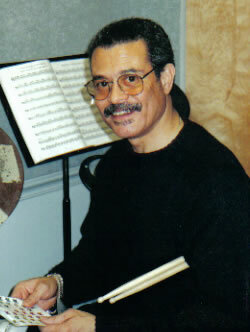 I specialize in advanced coordination techniques as applied to drum set for jazz and rock, utilizing the instructional literature of Jim Chapin, Dahlgren and Fine, Joel Rothman, John Lombardo, Gary Chester, and many others. To inquire about private drum instrustion please contact me.